There was a bit of a summer slump in July, with a noticeable drop in the number of quality releases. There were still plenty to pick from when putting together the month’s best, with veteran bands taking all five slots on the list. Here are our choices for July 2017’s best heavy metal albums. When a band has been around for two decades, you generally know what to expect from a new album. And while the Polish death metal band Decapitatedhave released some quality albums over the years, they have really stepped it up with Anticult. Their technical prowess has never been in doubt, and it is on full display here. But what takes Anticult to a higher level is the songwriting. In addition to blazing tempos and crushing riffs from Vogg, they vary the pace to add a lot of groove. The songs are focused and memorable with potent vocals from Rafał Piotrowski, and the production is top-notch. Decapitated have really raised the bar with Anticult, and add another to the list of outstanding death metal albums released in 2017. 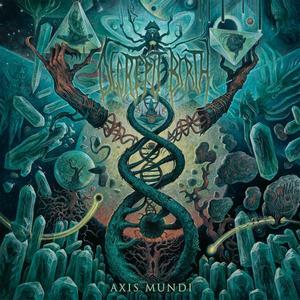 7 years away from the scene is a long time, but Decrepit Birth return just as strong as they were in 2010 with their new album Axis Mundi. The album is reminiscent of the more tech heavy side of classic Florida death metal. Whether it be Atheist’s Unquestionable Presence or Cynic’s Focus, this would have been a worthy successor to two of the best tech death gems from over 20 years ago. The band has added a new drummer and bassist to the fray and as with other bands of the genre, the bass is high in the mix and drums are built to withstand a nuclear holocaust. Decrepit Birth are back with a vengeance, here to lay claim as one of the best technical death metal bands around. West Virginia groovers Byzantine have always been an underrated band. They have released some excellent albums over the years, but for various reasons haven’t been able to reach the level their talent warrants. That may change with their latest release The Cicada Tree. They have signed with Metal Blade Records after a couple of self releases, which should lead to more exposure and touring opportunities. They have a good album to tour on. The Cicada Tree features sizzling guitar work from Brian “Hendo” Henderson and a diverse performance from vocalist Chris Ojeda. There’s ample heaviness with a combination of harsh and melodic vocals, but also a lot of accessibility. That contrast is typified on “Map Of The Creator,” which has both mellow acoustic parts and very heavy sections. 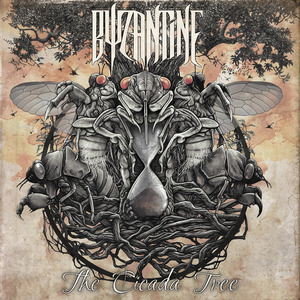 Byzantine bring a different approach to each album, always moving forward, and that’s the case with The Cicada Tree. 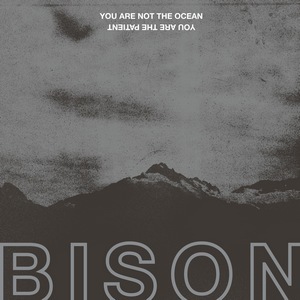 Vancouver, Canada’s Bisonare back with a vengeance on You Are Not The Ocean You Are The Patient, a seven-song album and their first with Shane Clark (former 3 Inches of Blood guitarist) on bass. While short by today’s standards, this is nearly 40 minutes of straight-up pounding metal that is sure to please most anyone who’s into aspects of Baroness, Neurosis and more. Bison love to grab hold of a riff and pummel you over the head with it until you’re black and blue. Most of the songs featured extended riff-filled intros, lean arrangements, wicked solos, crushing rhythm and furious vocals. Strap your helmet on and crank this one. Formed in 1993, the Norwegian symphonic black metal band Limbonic Art released several well-received albums before disbanding. They released a comeback album in 2007, but then guitarist Morfeus departed. 2010’s Phantasmagoria was essentially a Daemon solo album. 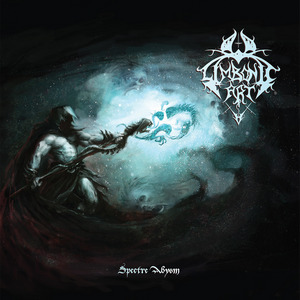 After a seven year gap, Spectre Abysm is also Daemon’s brainchild. The songs are given plenty of time to develop with a lot of atmospherics and symphonic elements along with traditional black metal. There’s a varied blend of regal, mid-tempo groove along with dense, oppressive black metal. And even though the songs themselves are fairly lengthy, there are fewer of them, clocking in at more than 20 minutes shorter than their last release. It’s addition by subtraction, allowing more focus on seven diverse and expertly arranged songs.